"With Losada 8th, Chernetckii 9th, Tiago Machado 12th and Iurii Trofimov 15th, they all showed their ambitions and their good condition. They can go full gas tomorrow in the TT." The second stage of the 41st Volta ao Algarve got right down to the business of climbing. The 197,2 km stage included two passes of the Monchique before crossing the finish line on the third time. "With four riders in the top 15 we cannot complain today. Having in mind the time trial of tomorrow, it was our goal today to make the race hard on the climbs to put the TT riders in difficulties. When Geraint Thomas attacked we accelerated behind him. 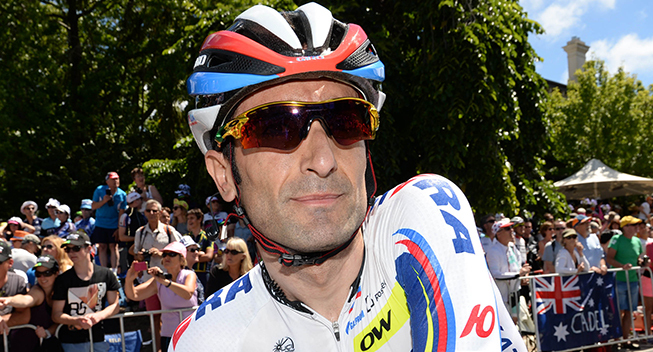 Five riders got away including Alberto Losada and Sergei Chernetckii. Unfortunately, as always, there was Thomas' teammate Richie Porte countering our actions. In the end some other riders joined that group of five, but it appeared impossible to close the gap on Thomas. However the results show that our team has a good level. With Losada 8th, Chernetckii 9th, Tiago Machado 12th and Iurii Trofimov 15th, they all showed their ambitions and their good condition. They can go full gas tomorrow in the TT," said team director José Azevedo. Thomas (Sky) took the win solo at 19-seconds to Rein Taaramae and now holds the race lead. Coming in at 23-seconds was third place Valerio Agnoli, with Losada and Chernetckii coming in with the same group. Tiago Machado also wears the red jersey as best Portuguese rider. Twenty-two teams rolled out under sunny skies from Lagoa to begin the stage. Several attacks were attempted in the first few kilometers before a group of six successfully stayed away. But with the mountains all stacked at the end of the course, the time advantage was well controlled by the peloton and the field was all together by the 169 km mark. More escapes were tried as the climbs became more difficult, but it was the breakaway that included Thomas that finally saw success. Friday brings the individual time trial and the race against the clock. At 19 km, stage 3 begins in Vila do Bispo and ends in Sagres. The course includes rolling terrain all through the stage.